Each set and organization has always been sensitive to social, political, economic, and management changes. These changes have a significant impact on the success and survival strategies of the organization. Since, trend analysis is needed for futures studies in each set that it can be examined that what weaks and strengths have existed in the past and present that can be controlled with the correct management of the future. According to the definition of the process, which is a phenomenon that is repeated in a short time with a particular tendency, and in other words, the development and change move toward a new and different thing, the orthotics and prosthetics (O and P) also have been subject to change over time due to its nature. O and Pare one of the rehabilitation sciences that, during a process, help a person to regain his/her lost ability after an event. In this process, orthotics can be used to improve the function of the organs of the body and prosthesis can be replaced by the lost organ. This field has changed over time due to the nature of the field in applying different materials and technologies and the demand for these services, and the role of the O and Pspecialist has changed due to various factors. Foresight of this field in the first step requires identifying the processes that have a significant effect on forming and completing it, and the study of this issue must be trained to the managers, experts, and stakeholders. It must be clearly specified whether these processes continue and join the future or stop at a certain stage. In general, it is expected that the lives of people in this field will also evolve due to the prominence of technology in its design and its parts with the growth of societies and improving technology, and subsequently, health will be affected. This is a controversial issue how Iran reacts in this path of change and development and whether it has been affecting or partly has been able to keep pace with the significant rate of changes with self-centeredness. This study was carried out aiming to accurately examine the historical trend of O and Pin Iran and other countries of the world. Due to the influence of different factors and fields in the education and training in O and P, it should be examined whether existing processes have been failed or may be failed. Whether the views of individuals have been affecting in this development, or the feeling of collective need based on environmental conditions such as diseases and natural disasters and the condition imposed on society, such as war and other, has led to an development in all aspects of education (curriculum, evaluation, and qualifications); these topics are of utmost importance. The O andPdiscipline has a multifaceted nature, so it has made a significant impact on the health with focus on the formal education. Therefore, the aim of this study was to accurately examine the historical trend of O andPeducation in Iran and other countries of the world, which along with the upstream documents helps to identify shortcomings and opportunities ahead and provide suitable context for large-scale planning for affecting human resources training in the future society. When this trend analysis combines with other future research methods, this can give a deeper understanding of our analysis of the possible future. Given that we are seeking to historical data extrapolation in the field of O and P, the historical trend analysis method has been used in this study. In this analysis, two methods of scoping review and interview were conducted. For the purpose of scoping review, database searches of PubMed, ERIC, SID, and Web of Science in combination with a search on websites of key organizations, including universities, World Health Organization (WHO), and International Society of P and O (ISPO) were conducted. A series of O andPeducational information from the oldest available literature to 2017 was identified and studied in Iran and in the world using the following keywords and their derivatives – education, curriculum, rehabilitation, orthotics, prosthetics, assistive devices. All documents and abstracts yielded from the search strategy were assessed by a single reviewer. Studies and documents were included if the main outcome measures or contents were about O andPeducation in Iran and other countries of the world, shortcomings and opportunities, and factors affecting human resources training in this field. Interviewees were all academic staff (22 of 26) of only three departments of O andPin Iran (Iran University of Medical Sciences, The University of Social Welfare and Rehabilitation, Isfahan University of Medical Sciences). The interviews were conducted at the professors' office in semi-structural and open end for 30–60 min, and asking questions such as what is your idea about the trend of O and P education in the world and in Iran? or what are the main problems and how to solve them in the field of educational technology? Two general patterns of continuity and noncontinuity were considered during the work. Is the current trend a continuation of the past trends? The nature, causes, speed of development and potential effects of the process were identified in reviewing trends. This method in fact is considered as the prediction of the future using historical evidence that has indicated the changes of a given data past to present. The analysis of trends is useful especially for assessing the effectiveness of policies and identifying emerging problems. A review of the historical evidence revealed three predominant themes affecting O and Peducation in Iran and other countries of the world including health and training services, technology, and educational programs. The content analysis of interviews resulted in six predominant themes affecting O andPeducation. Two of them were almost similar to the results of scoping review and other two affecting factors were curriculum and accreditation [Table 1]. According to the results of scoping review and interviews conducted in this field, the O andPmove slowly toward other health services, but the growth of technology and science related to the industry, which is necessary for this field, has naturally accelerated the development of this field, especially in the field of education and academia. Seven articles and document describe either existing,,,,,, or O andPprograms including descriptions of entire programs. Development of disease prevention strategies and managed cares and providing out-of-hospital care and a wide range of primary care caused interpersonal collaboration and interdisciplinary approach can provide health care by different fields. Along with the changes in technology and health care, the role of O andPspecialists has focused on more comprehensive aspects instead of techniques and playing role as rehabilitation team members has expanded. One document made recommendations about burden of diseases. The burden of disease is another factor in the training and delivery of O and P, which each country meets its own requirements. In Iran, musculoskeletal, traumatic, and other diseases are one of the issues that should be addressed in educational planning. Always, there is increasing concern among planners for the future about the rate of growth of the aging population in countries. The rate of aging in the United States is also growing so that over the past 40 years it has almost doubled and it is expected that this trend continues. According to the latest statistics released by the Ministry of Health in 2017, 8% (6 million people) of the Iranian population were over 60 years old, and now, this has reached 10% (8 million). Parallel to changes in technology, the orthotist and prosthetist role has expanded from a focus on the technical aspects to device design made and the use of new equipment as members of a therapeutic team. Six papers,,,,, assessed various aspects of education and training on standards and evaluating in the attainment to certificate. Since 1968–2003 standards were recommended for the training and finally led to the publication of instructions to train personnel in developing countries in the field of O and P,, the use of educational standards is considered as one of the points in the O and P training, which was approved by the American Educational Accreditation Board. Aimed to link the curriculum of O and P and the patient's need. Since 1965, the long-term courses along with a certificate were used instead of a bachelor's degree. In Iran, given that among three educational centers, from 1981 until now, have had 1400 graduated students and although two other centers have been added, but this number still cannot provide services for 7 million applicants. If the number of student who is trained in the field of O andPin the United States and Iran in the period 2000–2015 [Table 2] is compared, we find that, regardless of the population and the number of educational centers, there is a relatively similar growth in human resource training. Nine articles provide evidence relating curriculum and education strategies.,,,,,,,, In 1952, the first meeting was held to present a comprehensive 6-week program at the University of California, Los Angeles followed by the University of New York presented For the Bachelor of the 4-year integrated program for the first time. These programs were implemented during 2 years with the basic prerequisites in the natural sciences, social sciences, and mathematics that were foreseen for the early years and emphasized the training of specialized O and Pin the years to come. The curriculum evolution trend into newer issues and transferring it to the student, such as problem-based curriculum, free curriculum, and distance education or long-distance learning, is discussed. This trend has grown to the point where even the integration of theoretical and practical courses is seen in most universities or the problem-based learning training methods are arisen in North America. Changing titles in curriculum was considered as another trend in the provider's universities, in such a way that the original curriculum was developed by the National Commission on Orthotic and Prosthetic Education (NCOPE) for O and P, including technical and clinical skills, practical management, economics in health, bioethics, and competency. Two articles made recommendations about the educational programs to be accredited., In 1972, the American Board of O and Plaunched the Educational Accreditation Commission (EAC). In 1990, the EAC with other centers of research, assessment investigated the relationship between the training curricula of O and P and the patient's need and the need assessment in patient care with kind of training., In Iran, there have not been any specific programs to validate O and Ptraining programs. The discussions addressed in the historical process of O andPincluded some main fields, including the impact of education on providing health services, curricula, and educational strategies, the evaluation role in the form of accreditation, and the effect alongside other related sciences. The O and Pdiscipline has a multifaceted nature, so it has made a significant impact on the health with focus on the formal education. Considering the problems due to absence of a comprehensive plan in health service, the need for health care in collaboration with health professionals has been felt in different specializations in an interdisciplinary field. Development of the strategies for disease prevention and managed care, providing out-of-hospital care, and a wide range of primary care has led interpersonal collaboration, and an interdisciplinary approach can provide health care by different disciplines. In Iran, according to the number of disabilities, as well as the damages caused by war and diseases, and the growth of industrial centers and aging (1.8%), although academic centers interact with the centers under supervision of The Foundation of Red Crescent, Health and Welfare have been provided human resources training services, the number of trained personnel is not yet provided considering the needs of the community. In the field of curriculum, while we are facing with changes in the number and type of orthotic devices due to new developments in technology and new materials production, but the level of curriculum and training for O andPspecialists has not been improved quickly. Part of the problems that hindered a comprehensive training were the flexibility and complexity of orthotics and prosthetics. The O andPdiscipline was recognized and accredited by the Association for Medical Education and was eventually introduced as a public health profession. In Iran, the need to compilation an accreditation program for education in this field is highly felt. We are facing with a wide range of issues in our O andPtraining systems, such as presentation of curricula, presentation methods, corresponding rise in needs led curriculum design, and new and innovative pedagogic approaches, such as digital interactivity, (and their effectiveness in students training. Although academic is not growth significantly, the competition platform for this discipline is open. The estimation of the disease burden status is considered as one of the most important issues in the field of health, which if its dimensions are identified correctly, it can be used in future planning. The type of relationship between diseases and disorders with O andPservices constitutes an important part of the educational strategy. For example, it was estimated that about 35 million Americans are suffering from an orthopedic disease that may require orthotics. This population growth requires the development and implementation of an educational program. Another thing that can be mentioned in this trend is the kind of educational focus of the countries so that educational institutions in developed countries believe that students are responsible for their learning and these institutions tend to focus on critical thinking skills and institutions in developed countries focus more on skill development along with supervision of teachers. Furthermore, according to the results of studies conducted in this field, competency is considered as an integral part of bachelor courses in O and P.
Furthermore, in the curriculum of the School of Rehabilitation in Iran, in the ministry's review, the movement has begun to fundamental issues such as evidence-based, use of communication skills, and practical ethics for treating patients. According to the latest statistics released by the WHO in 2017, 8% (6 million people) of the Iranian population were over 60 years old, and now, this has reached 10% (8 million). The number of elderly people in Iran by 2030 will be 14.4%. Many studies indicate preventive and rehabilitation programs have increased as the elderly population grows and it should be mandatory to provide rehabilitation services. Today, the need for collaboration of health professionals from different types of specializations in an interdisciplinary field is felt more than ever due to the speed of technology development and patient care practices. Along with the changes in technology and health care, the role of O and Pspecialists has focused on more comprehensive aspects instead of techniques and playing role as rehabilitation team members has expanded. One of the topics discussed in this field is whether the level of training provided has a significant impact on the quality of providing service or whether the O andPservices affect the health of those who use the services? No specific studies were conducted to determine whether preservice training in the three levels of ISPO had a significant impact on the quality of providing service. With an aging global population and a rise in noncommunicable diseases, more than 2 billion people will need at least 1 assistive product by 2030, with many older people needing two or more. Today, only one in 10 people in need has access to assistive products. Indeed, the examination of different dimensions of O and Peducation can enhance standards and patient satisfaction. This indicate that there should be a plan for an effective education program for the future. Changes and developments in technology and health care, in addition to acquiring other health and medical professions, have created a growing need to accelerate the future with competitive technology and healthcare markets among O andPstudents. However, a need for significant advancements in O andPtraining programs is felt to keep pace with professional changes growth in O andPin the new millennium. This article is the result of the research project number 396605 which started after receiving the Code of Ethics from Isfahan University of Medical Sciences. It is necessary to thank the Board of Directors and the faculty members of Orthotics and Prostheticseducational groups. Patrick B. Corporate Foresight in Europe: A First Overview, Working Paper European Commission; 2002. p. 10. Martin HM. Oxford Dictionary. 2017. p. 105. Available from: https://en.oxforddictionaries.com/definition/process. [Last accessed on 2017 Jun 12]. Webster J, Murphy D. Atlas of Orthoses and Assistive Devices E-Book. Philadelphia, America: Elsevier Health Sciences; 2018. Kogler GF. Materials and technology. In: Lusardi MM, Nielsen CC, editors. Orthotics and Prosthetics in Rehabilitation. Boston: Butterworth Heinemann; 2000. p. 11-32. Farrell MP, Schmitt MH, Heinemann GD. Informal roles and the stages of interdisciplinary team development. J Interprof Care 2001;15:281-95. Interview Head of the Office the Elderly of Health of Health Ministry. 2011. Available from: http://www.health.behdasht.gov.ir/aging/office. [Last accessed on 2017 Feb 19]. Hovorka CF, Shurr DG, Bozik DS. The concept of an entry-level interdisciplinary graduate degree preparing orthotists for the new millennium part 1: History of orthotic and prosthetic education. J Prosthet Orthot 2002;14:51-8. Landi F, Zuccalà G, Bernabei R, Cocchi A, Manigrasso L, Tafani A, et al. Physiotherapy and occupational therapy: A geriatric experience in the acute care hospital. Am J Phys Med Rehabil 1997;76:38-42. Hovorka CF, Steel W. A multidisciplinary prosthetic care team can help patients with amputations reclaim their lives. Adv Dir Rehabil 2001;10:36-40.
WHO Standards for Prosthetics and Orthotics. Part 2: Implementation manual. Available from: www.who.int/phi/implementation/assistive_technology/prosthetics_orthotics/en/. Accessed 2017;2;May 2017. Peykari N, Hashem H, Dinarvand R, et al. 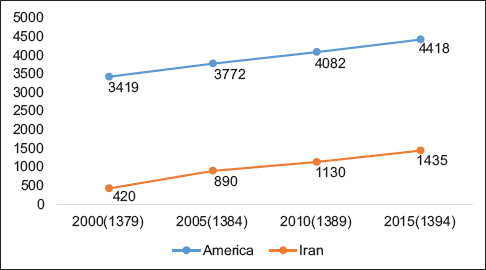 National action plan for non-communicable diseases prevention and control in Iran; a response to emerging epidemic Journal of Diabetes & Metabolic Disorders 2017;16:3. Hayes C, Graham Y. Evolution for a Revolution. The Potential Future Value of Digital Technology Across UK Prosthetics and Orthotics Undergraduate Curricula. BAPO Connect; 2017. Core Curriculum for Orthotists and Prosthetists. Appendix B of the Standards and Guidelines for the Accreditation of Educational Programs in Orthotics and Prosthetics National Commission on Orthotic and Prosthetic Education; 2010. World Health Organization. Guidelines for Training Personnel in Developing Countries for Prosthetic and Orthotic Services. Geneva: World Health Organization; 1990. Ponte Vedra II. Orthotic/Prosthetic Future. Washington, DC: American Orthotic and Prosthetic Association; 1976. William J, Susan K, Chailes H, Darrel C. The changing face of O &Peducation: Can we make a batter practioner? J Prosthet Orthot 1993;5:44-56. American Board for Certification in Orthotics, Prosthetics. Practitioner Book of Rules & Candidate Guide. Alexandria, VA: American Board for Certification in Orthotics & Prosthetics, Inc.; 2017. p. 4-6. Fishman S. The Professionalization of Orthotics and Prosthetics. Vol. 10. O &PBusiness News; 2001. p. 24-3. Christopher FH, Donald GS, Daniel SB. The Concept of an Entry-Level Interdisciplinary Graduate Degree Preparing Orthotists for the New Millennium Part 2: Master of Orthotic Science. Journal of Prosthetics and Orthotics 2002;14:59-70. Aminian G, O'Toole JM, Mehraban AH. Undergraduate prosthetics and orthotics teaching methods: A baseline for international comparison. Prosthet Orthot Int 2015;39:278-85. Lusardi M, Levangie P, Fein B. A problem-based learning approach to facilitate evidence – Based practice in entry-level health professional education. J Prosthet Orthot 2002;14:40-50. Simpson D. The development of postgraduate education by open learning. J Prosthet Orthot 2002;14:27-30. Lin RS. Distance learning: An innovative approach to orthotic and prosthetic education. J Prosthet Orthot 2002;14:75-7. Boe BE, Gardner AK. Examining the competency of recent graduates of an orthotics and prosthetics training program. J Prosthet Orthot 2019;31:16-22. Miro RM, Young W, Dedrick R, Highsmith MJ. Predictors of success on the American board for certification's prosthetics certification examination. Prosthet Orthot Int 2017;41:95-100. Kamyab M. Seven million Iranians need orthotics and prosthetics. Accessed 2017;11: September 2012. Available from: https://www.farsnews.com/new. Al Qaroot BS, Sobuh M. Does integrating research into the prosthetics and orthotics undergraduate curriculum enhance students' clinical practice? An interview study on students' perception. Prosthet Orthot Int 2016;40:357-62. Benson V, Marano MA. Current estimates for the national health interview survey 1993. Vital Health Stat 1994;10:190. Bachelor in Prosthetics and Orthotics. Curriculum & Guidelines. Rehabilitation Council of India. B-22 Qutub Institutional Area. New Delhi: RCI's BPO Revised Curriculum; 2010.